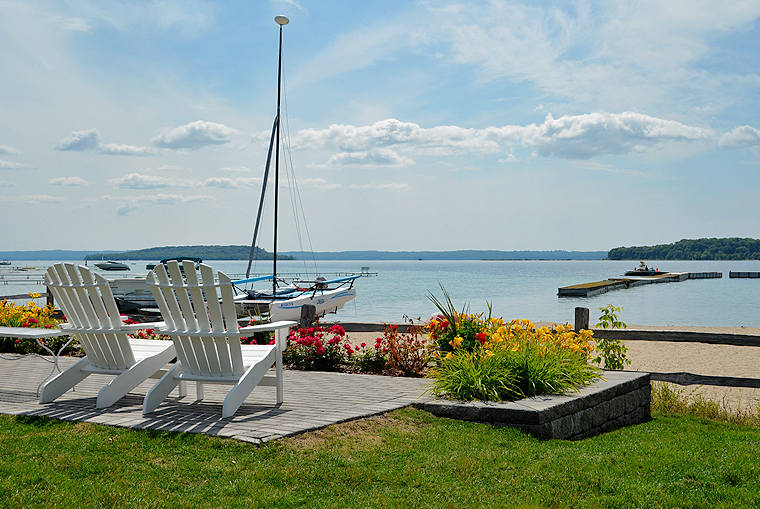 The Traverse City area of northern Michigan is the Nantucket of the Midwest; just a few hours drive north of Chicago, it offers both coastal charm and warm Midwestern hospitality. 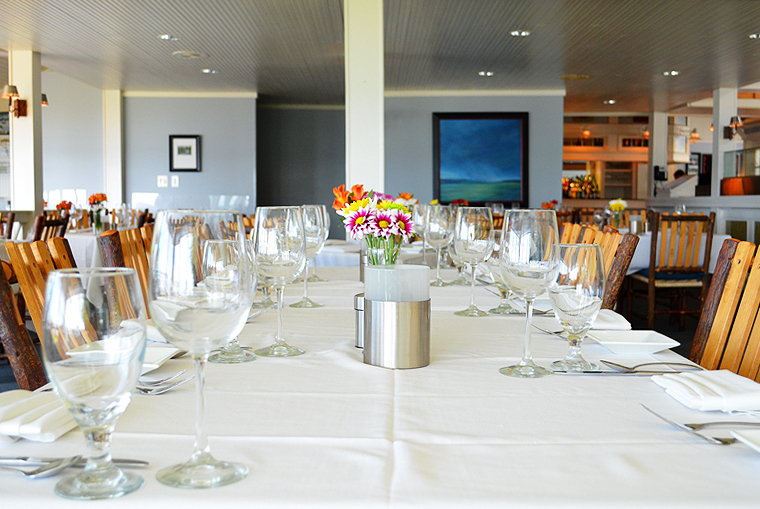 Farms, vineyards, and artisanal food producers dot the landscape, creating a culture of locally produced cuisine most exquisitely demonstrated by the menu at the Boathouse restaurant; one of northern Michigan’s top fine dining restaurants. 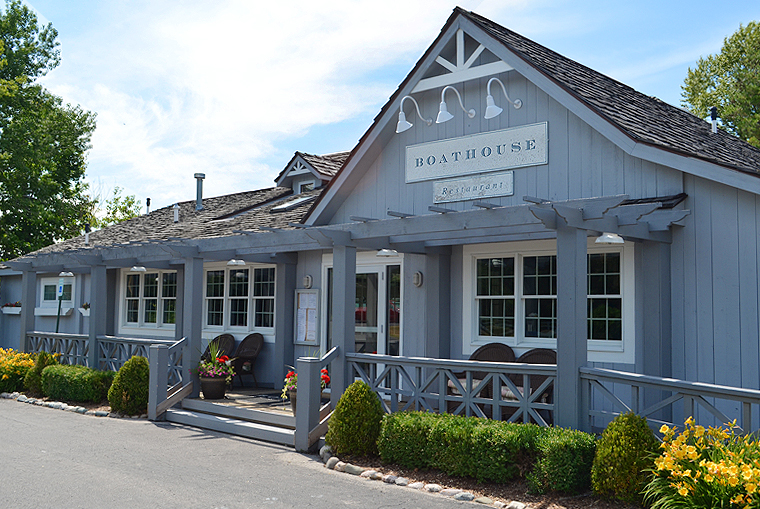 Situated on the shores of Bowers Harbor, the Boathouse restaurant sits at the bend of a curvy, tree-lined road on picturesque Old Mission Peninsula. 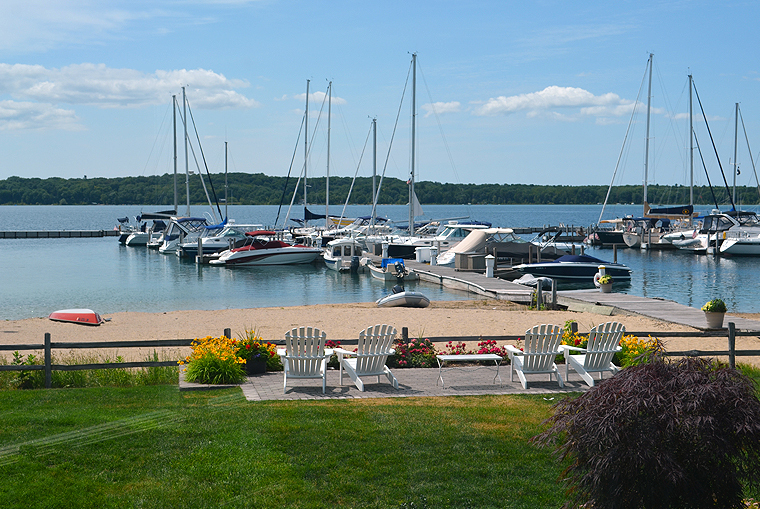 The day I visited we were blessed with perfect weather, the sunlight sparkling on the bay as sailboats bob gently in the harbor. 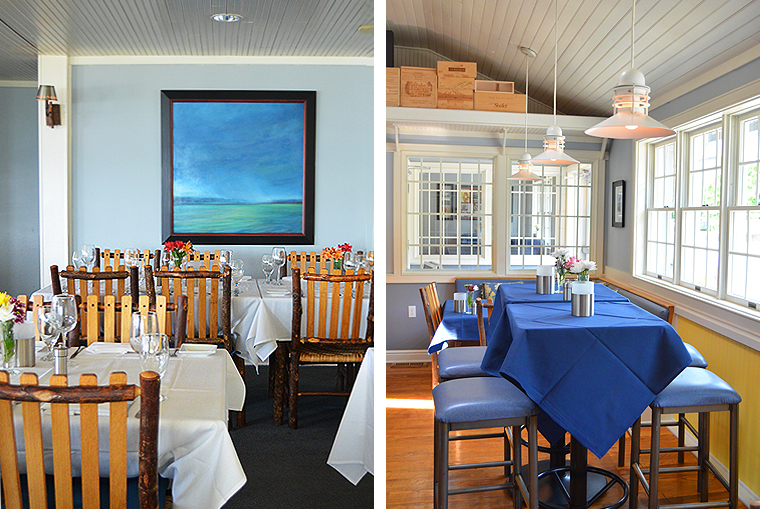 The charming nautical style of the restaurant’s decor create a seaside atmosphere, with wide windows offering sweeping views of the bay for the entire dining room and an elegant outdoor seating area for dining al fresco. As I took in the view while sipping a glass of local sparkling wine, the tensions I had brought with me from the city quickly evaporated, leaving me relaxed and hungry. 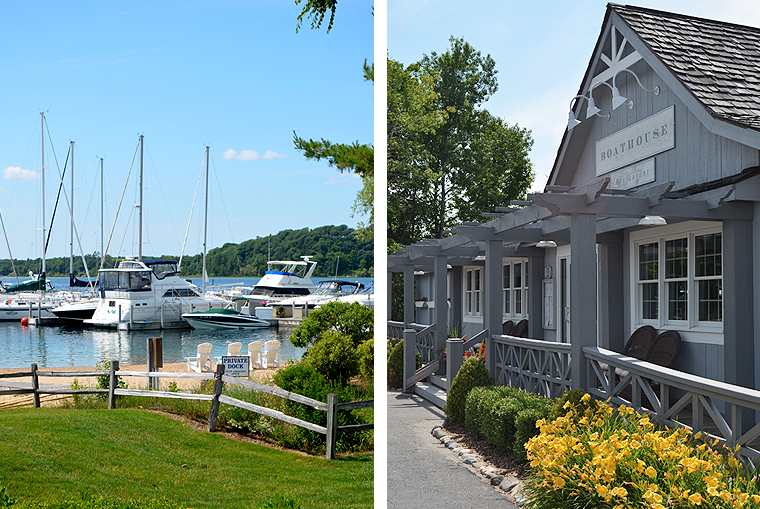 We were warmly greeted by Michael Richmond, the manager and sommelier of the Boathouse, who made us feel at home and offered some excellent local wine pairings. Executive Chef Jim Morse walked us through the menu, explaining his philosophy and approach to cooking and the virtues of using local ingredients. He is a fourth-generation northern Michigan native and a graduate of the Great Lakes Culinary Institute at Northwestern Michigan college. When he isn’t leading the culinary team at the Boathouse, he is also an instructor at the Culinary Institute, where he teaches about the cuisines and cultures of Europe, North Africa, Asia, and the New World. 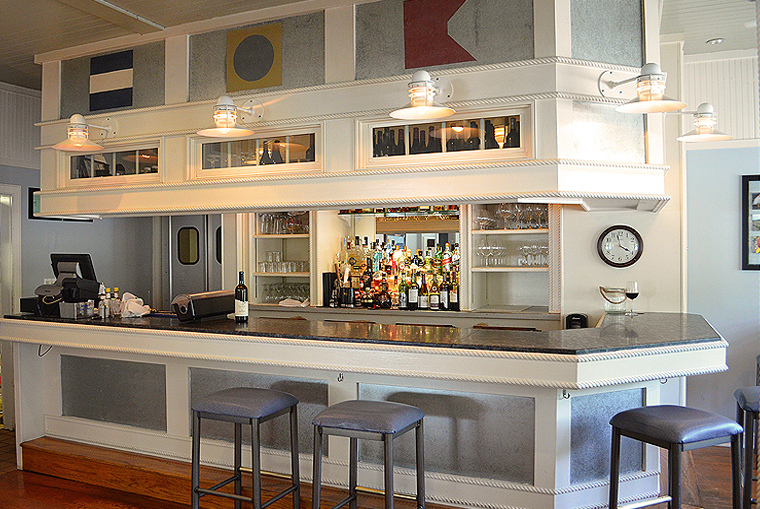 The menu that Chef Morse has assembled is refined and contemporary, with elements of the classical French traditions of Escoffier. 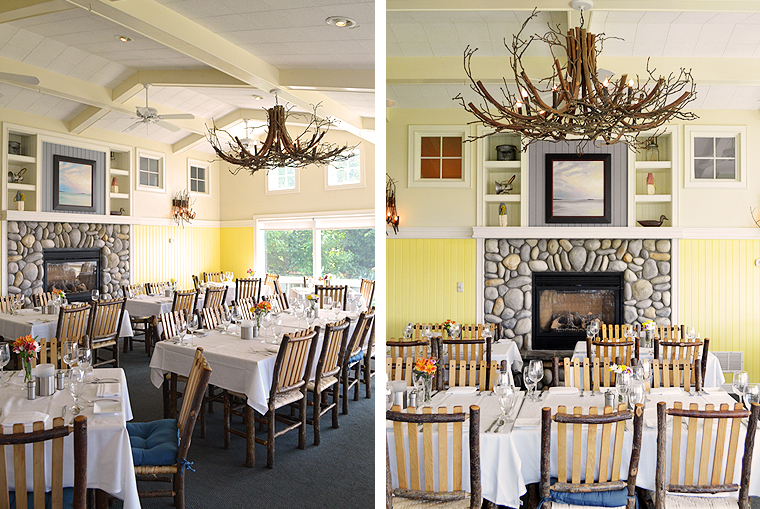 Many of the fruits, vegetables, and herbs are grown on the Boathouse’s very own farm, while much of the meat, cheeses, fish, and wild foods are sourced locally from some of the best farmers, foragers, and artisans in Michigan. A beautiful presentation, the oysters lie in a bed of sea salt, flanked by sea beans and a dollop of creamy avocado wasabi mousse. 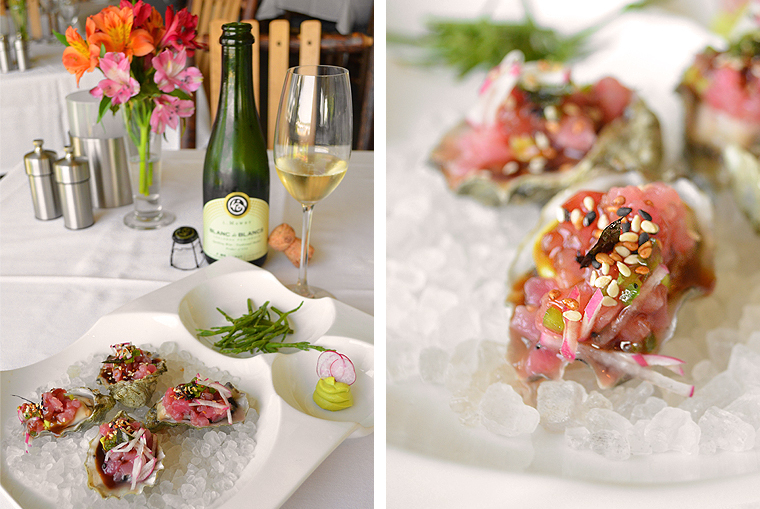 The deep, buttery sweet flavor of the plump oyster is tempered in it’s own natural briny juices. 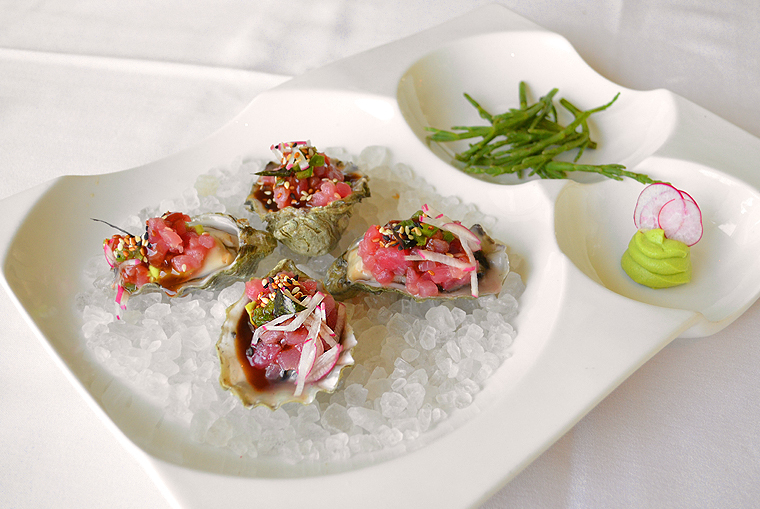 The ahi tartare offered a contrasting texture and lightness, carrying the acidity of the hoisin glaze. 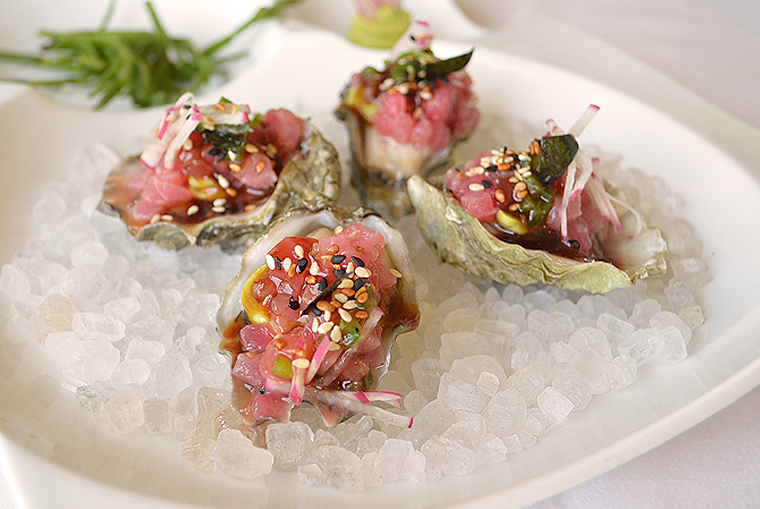 All combined in a single bite with a dab of the sharp but creamy avocado-wasabi mousse and subtle heat of jalapeno, this is an exquisite way to enjoy oysters. 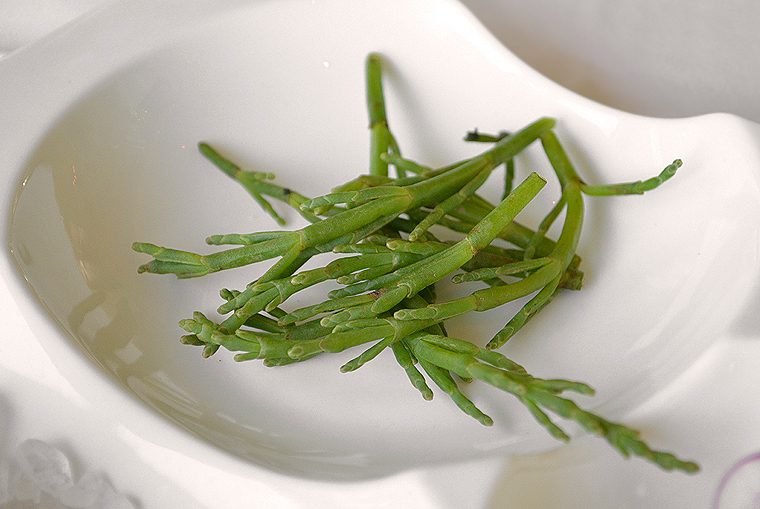 The sea beans were a nice way to refresh the palate after the rich oyster, offering a surprising punch of flavor with a crunch that is hard to resist, especially when dipped in wasabi-avocado mousse. 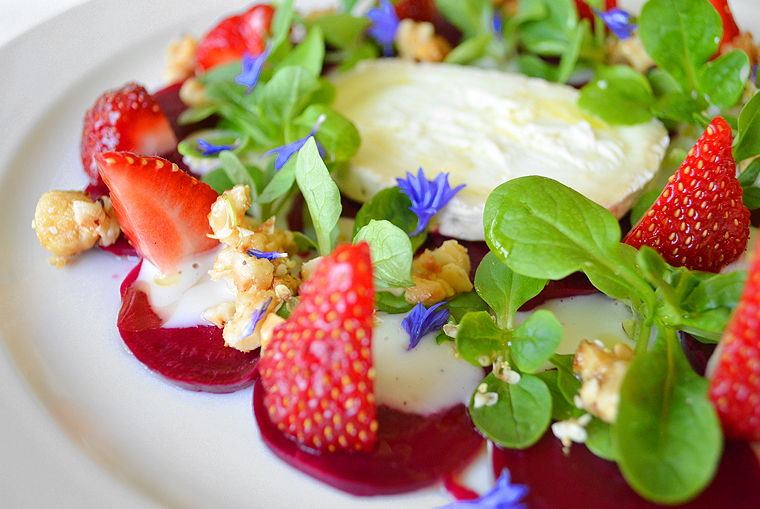 The sweet tender roast beets paired surprisingly well with the ripe strawberries which lend their acidity to the earthy beets, followed by the sweetness honey roasted hazelnuts. A salad of baby mâche sits atop a tangy slice of aged local chèvre drizzled in truffle oil; this wonderful dish is perfect as a salad before your main entree, as a light lunch, or even as a delightful cheese course after a meal. When this plate arrived I was beyond intrigued. Heavenly scents of garam masala and roast lamb made my mouth water as I steadied my camera to capture this beautiful dish. With so many elements I was anticipating a punch of flavors that would be hard to detangle, on the contrary I was very impressed by the subtlety and restraint that Chef Morse exercised in his use of each element. 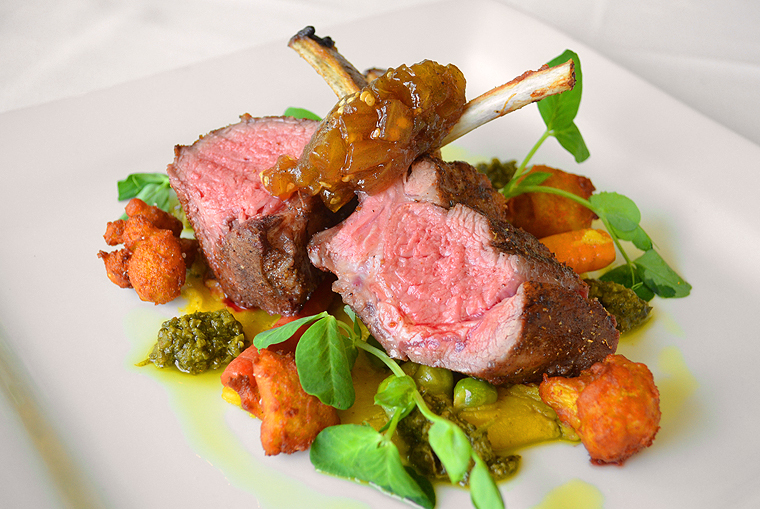 Tender, juicy local lamb fragranced with garam masala atop a rich yet delicately flavored lentil dal. The eggplant jam and coriander chutney were excellent alternative to the old standby mint jelly. 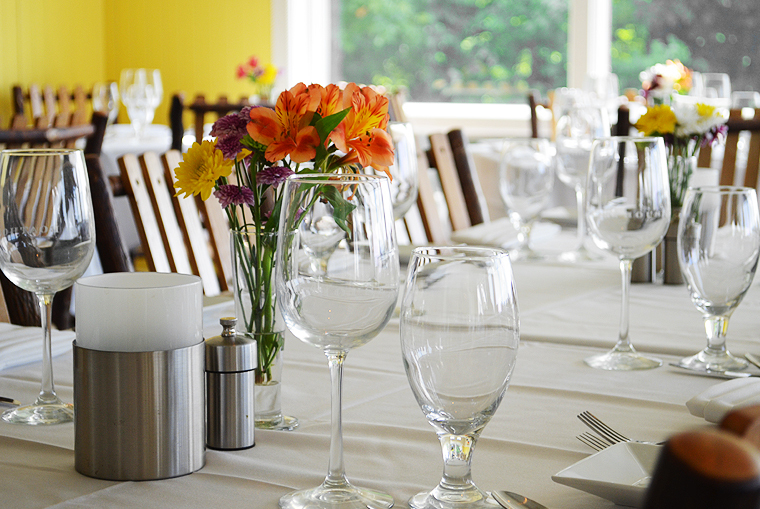 Deep golden pillows of chickpea tempera held tender florets of flavorful marinated cauliflower. With a deep savory flavor, these would make excellent hors d’oeuvres with a dab of the golden lentil dal. The fresh chickpeas were a first for me; with a flavor I hadn’t expected and a delightful texture, these little green gems swirled deliciously in a sea of rich lentil dal. 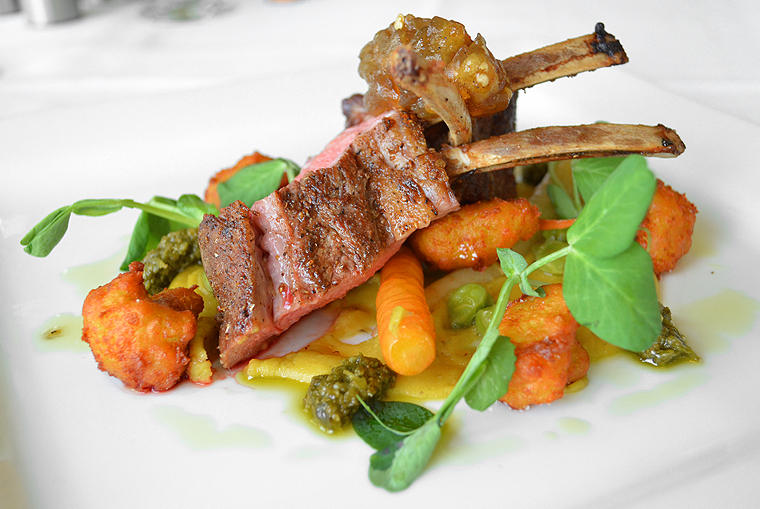 I looked carefully under the lamb and between the tender baby carrots to make sure I didn’t miss any. Far from the heavily spiced Indian cuisine I’ve had in the city, the level of seasoning here is just right and each element shines brightly, every distinctive in flavor stands out offering variation in each bite. The wine paired with this dish, a 2008 Solo Nove from Villa Mari vineyards offered lush, deep red fruit and a pleasing acidity which offset the subtle richness of the dish. A spectacular wine with serious depth, I’ll be looking for a few bottles of this vintage for my own collection. The morel and chanterelle bisque is a favorite among locals, in the early summer it is prepared with fresh, locally-foraged mushrooms. 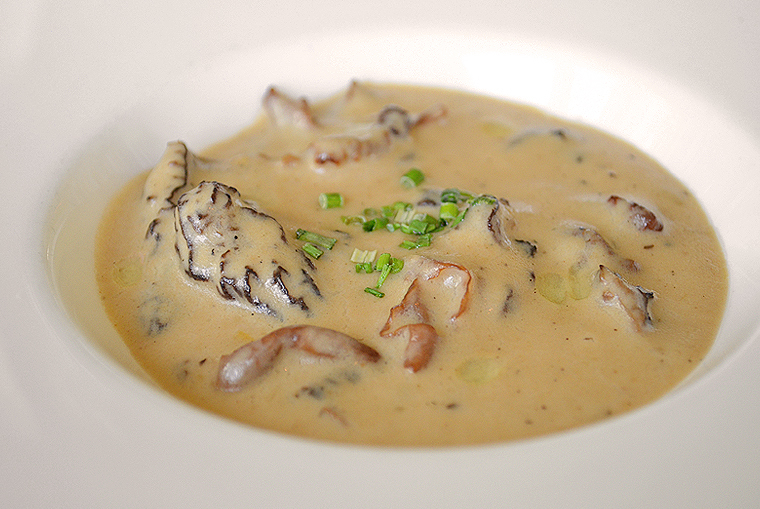 Earthy morels, meaty chanterelles, and intense Chateau d’Orignac cognac meet in a velvety cream with chives and truffle oil. I can immediately appreciate why this dish is so popular with the locals, especially in the depths of a northern Michigan winter. 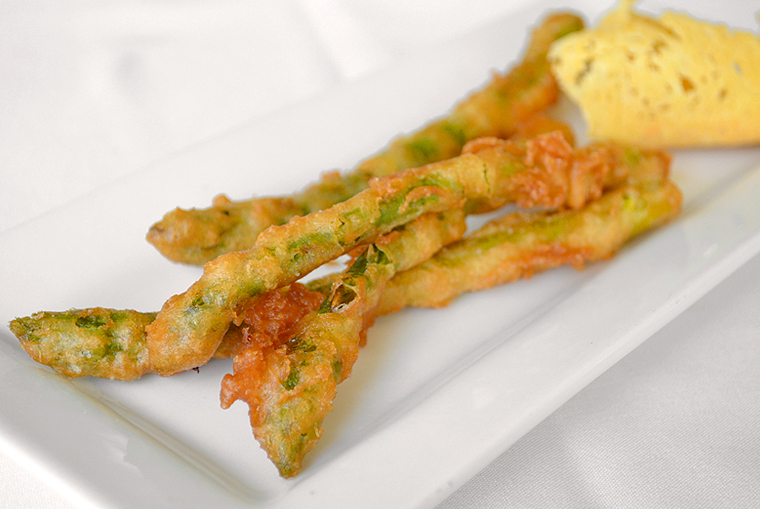 The tempura asparagus was light and allowed the crisp texture of the fresh asparagus shine through. 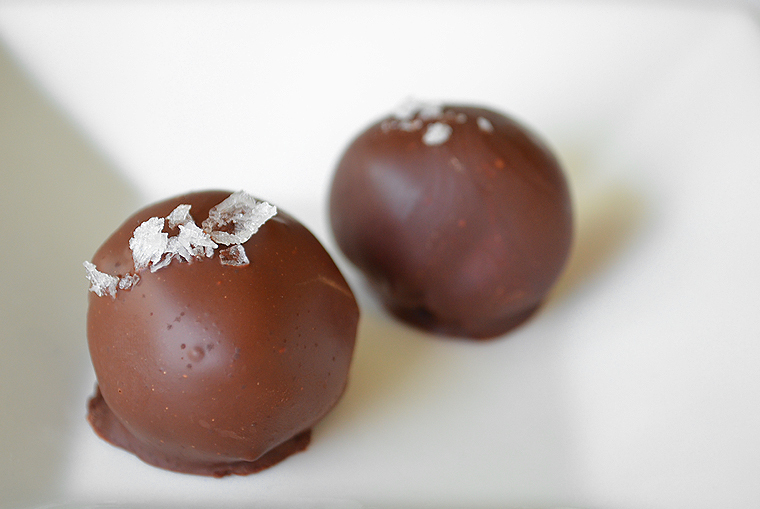 Dipped in the smoked tomato coulis which comes in a delicate parmesan tuile, this is a really tasty treat..
A decadent pair; deep red, lush, just-picked local cherries and rich, dark chocolate truffles filled with a creamy earl grey infused ganache and topped with a sprinkle of Maldon salt. 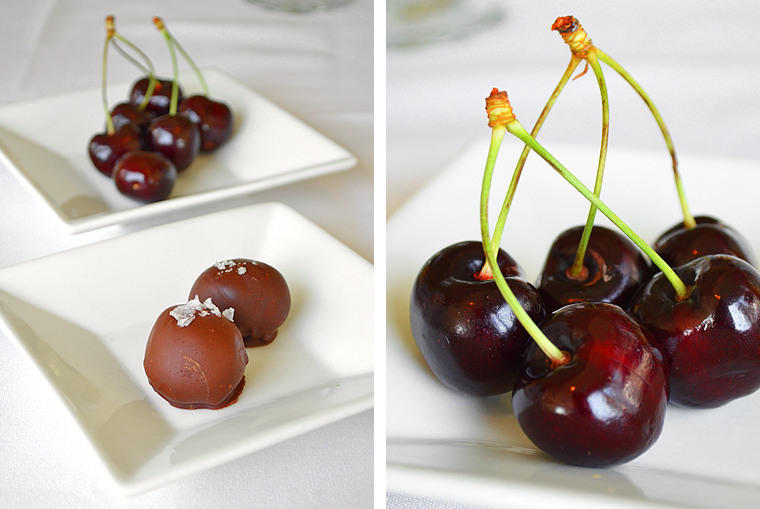 The cherries, perfected by mother nature and skillfully presented in their natural state by the Chef, complimented the rich chocolate treats with soft bergamot flavors. This was a the perfect end to an excellent meal. Chef Jim and his culinary team far exceeded my expectations with alternating layers of intense and delicate flavors and exquisite textures. 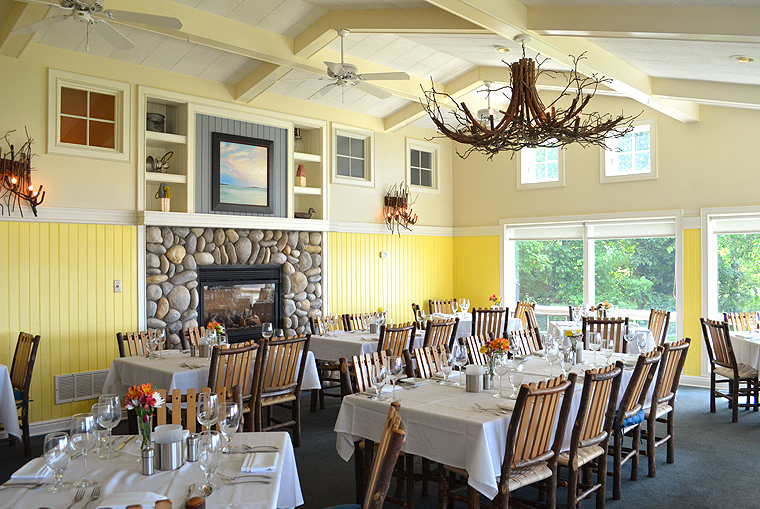 If you are ever up in northern Michigan, you should point your car toward old mission peninsula and take in the beautiful scenery on your way to one of the region’s best restaurants, and try these dishes out for yourself. This entry was posted in Recipes and tagged aged chèvre, ahi tartare, Boathouse Restaurant, Boathouse Restaurant Michigan, Boathouse Restaurant Old Mission Peninsula Michigan, coastal dining, coriander chutney, Deep Bay Oysters on the Half Shell, Doug Kosch, Doug Kosch Boathouse Farms, eggplant jam, Executive Chef Jim Morse, fine dining, fresh chickpeas, golden lentil dal, hateau d'Orignac cognac, hazelnut oil, L. Mawby sparkling wine, L.Mawby Michigan, Maldon sea salt, Mâche, Michigan cherries, Michigan dining, Michigan Villa Mari Vineyard, Michigan Villa Mari Vineyard Solo Nove, Michigan Villa Mari Wine, Morel Chanterelle Bisque, Northern Michigan, Old Mission Michigan, Old Mission Peninsula Michigan, Roasted Beet Carpaccio, sea beans, smoked tomato coulis, Sweet Grass Farms Lamb Rack, Tempura Asparagus, Top Northern Michigan Restaurants, Traverse City, Traverse City Michigan, Traverse City Michigan Restaurants, truffle vinaigrette, upper peninsula dining, upper peninsula restaurants, Valrhona Chocolate Truffle, wasabi avocado mousse, yuzu hoisin glaze. Bookmark the permalink.